There are few things on my person I am never without: bobby pins, stain remover pens and tea. Like the mother who always seems to have snacks in her bag just when her children become fussy and hungry, I have tea. My right hand feels strangely empty if there is not a ceramic mug or travel cup in it. After water, tea is the most widely consumed beverage in the world. As a little girl living in Japan for five years, drinking tea became a daily part of life, and it carried over across an entire ocean when my family moved back to America. Tea and its surrounding culture has also pervaded the Cornell community. According to Jeff Champeau ‘11, creator and President of the Cornell Tea Tasting & Connoisseurship Club, much like how a myriad of wine styles come from a single grape variety, true tea comes from a single evergreen plant, camellia sinensis. Herbal teas are made from an infusion of flowers, leaves, fruit and herbs. Like rooibos tea from South Africa, herbal “teas” do not come from camellia sinesis. Camellis sinesis, originally from China and known as cha, produces the three most known tea styles: white, green and black. 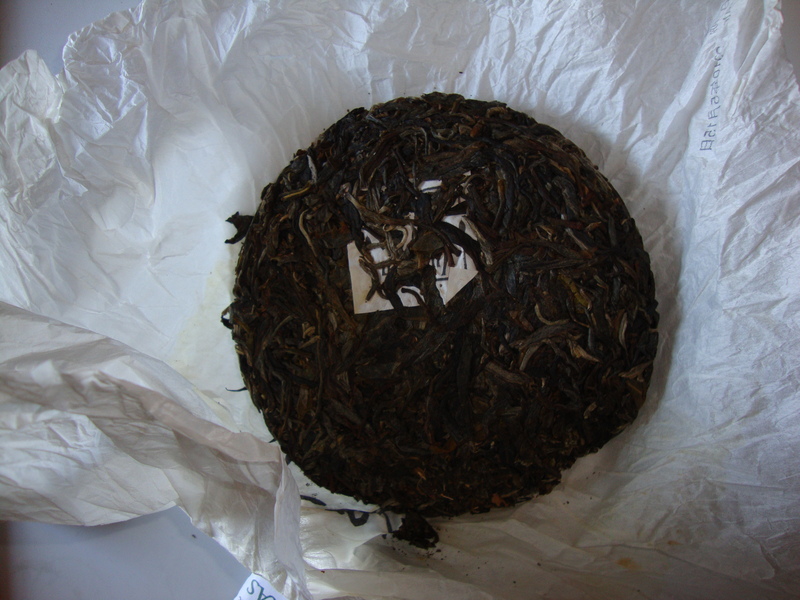 It also produces wulong (oolong) and pu’er teas. The different styles of tea are accomplished by the process of oxidation. Much like when cut fruit such as a banana or an apple browns when exposed to air due to enzymatic reactions, tea varieties are created by stopping or prolonging the process of oxidation. At the inagural meeting of the Cornell Tea Tasting & Connoisseurship Club, the five broad categories of teas were tasted: a silver needle white tea from Chicago Tea Garden, a gunpoweder green tea from Adagio Teas, Tieguanyin wulong tea from Kee Wah Bakery in Hong Kong, Panyang Congou black tea form Harney & Sons Fine Teas*, and a 2008 Yiwu Moutain Sheng (raw) Pu’er tea cake. 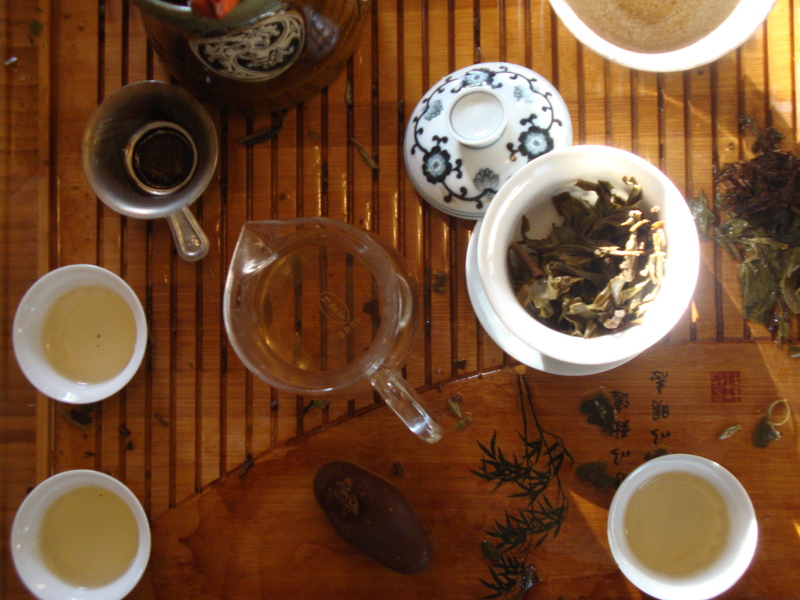 White tea is known for its light, barely discernible straw yellow color and sweet, subtle flavors. It is picked when it is just a bud and is the most delicate of teas. It undergoes minimal to no oxidation. Green tea, popular throughout Japan and available in an array of styles such as sencha, matcha and gunpowder, is green in color, with stronger, more vegetal, metallic and smoky flavors than white tea. It undegoes a short period of oxidation. It is green because it retains some cholorphyll when picked. Higher quality green teas are picked with about 2 leafs to a bud, whereas lower quality green teas are simply just the leaves. Black teas are fully oxidized and rolled tealeaves popular in India and Great Britain. British legacy teas, like British breakfast tea or Earl Grey, come from black tea leaves. Black teas are intensely flavorsome, with a deep tannic flavor and fullbodied taste. Cream and sugar was traditionally added to black tea because of its potent, sometimes bitter flavor. * Fun fact: John Harney ’56, the founder of Harney & Sons Fine Teas, was a Cornell graduate. Ref: Alan Macfarlane; Iris Macfarlane (2004). The Empire of Tea. The Overlook Press. p. 32. ISBN 1-58567-493-1.